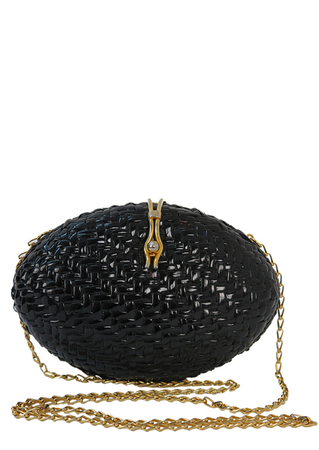 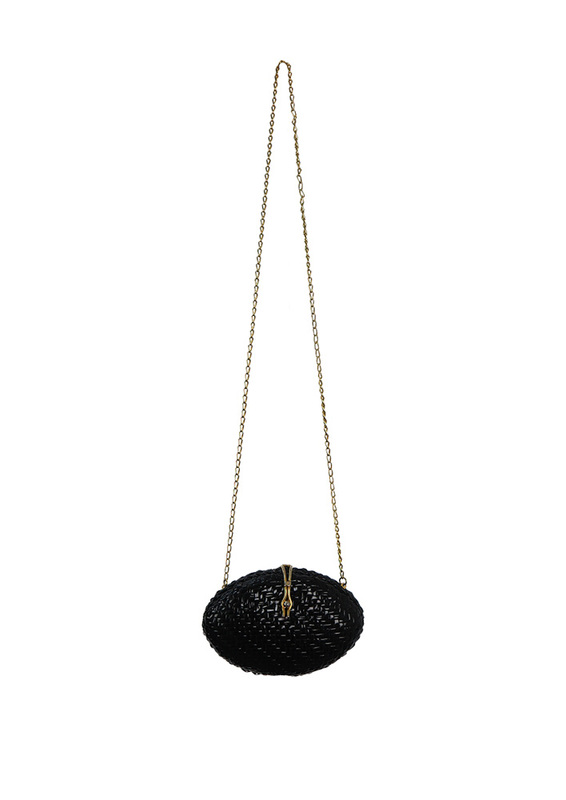 Distinctive oval shaped, cross body shoulder bag by Rodo made from a hardened wicker shell in a striking black lacquered gloss. 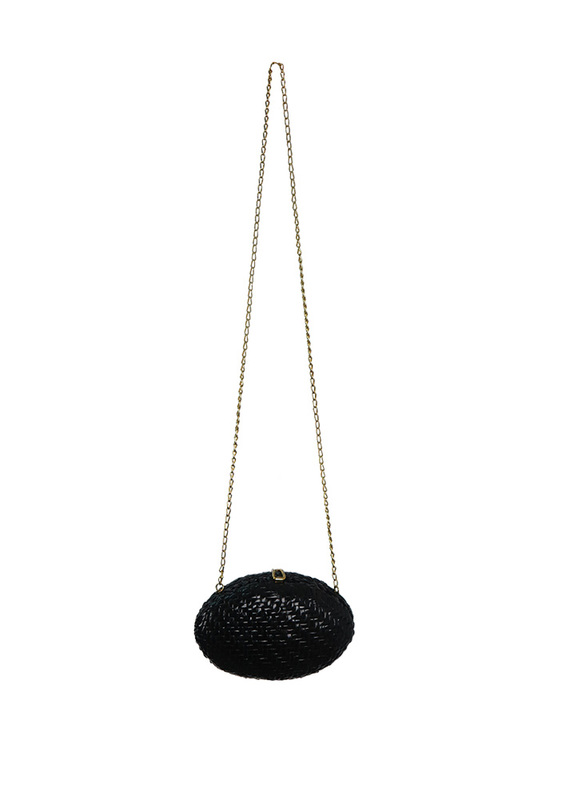 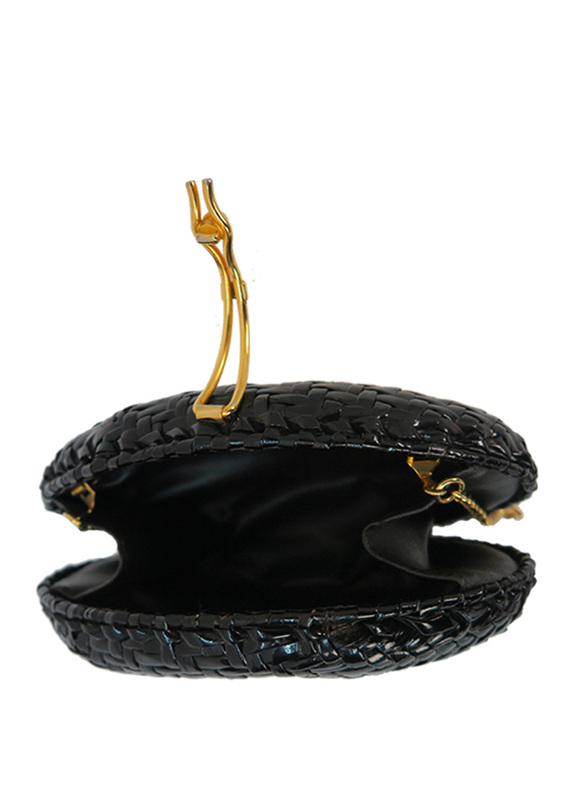 The bag has a metallic gold chain strap and curved metal clasp with a hinge opening. 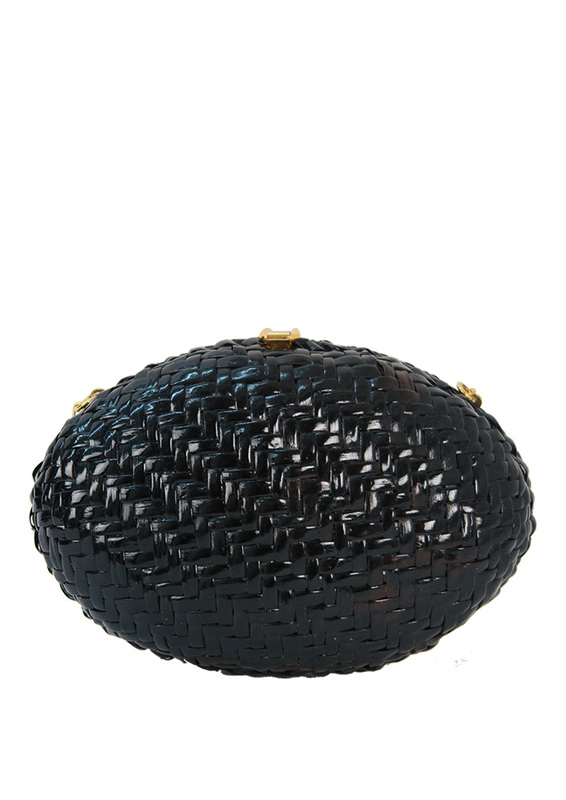 It is lined in black with Rodo branding inside and is in excellent condition.